Last Wednesday I ran a children’s workshop along with two others from the Education Department at the Fitzwilliam. The session was based on my research project on 18th- and 19th-century school samplers. Fifteen girls turned up and they had a morning full of activities and learning. We started off by looking at the samplers on display in the Fan Gallery. I spoke for a few minutes about the collection at the Fitzwilliam and discussed sampler making over the centuries. The girls asked lots of questions including for instance how they were made, materials used, how long a sampler would take to stitch. 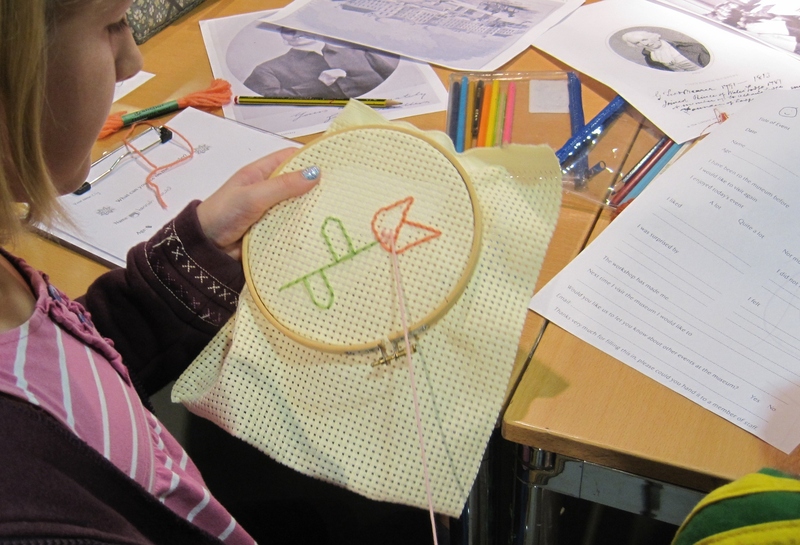 They then had an opportunity to look more closely at the needlework and to draw motifs as seen on the examples. Once we arrived back in the education studio, I asked the girls to complete a worksheet related to my project. The school objects were on display in the studio. The aim of the worksheet was to show them the first steps that I took when I started researching them. I required the girls to note down the key information stitched onto the sampler, including the maker’s name, age etc. 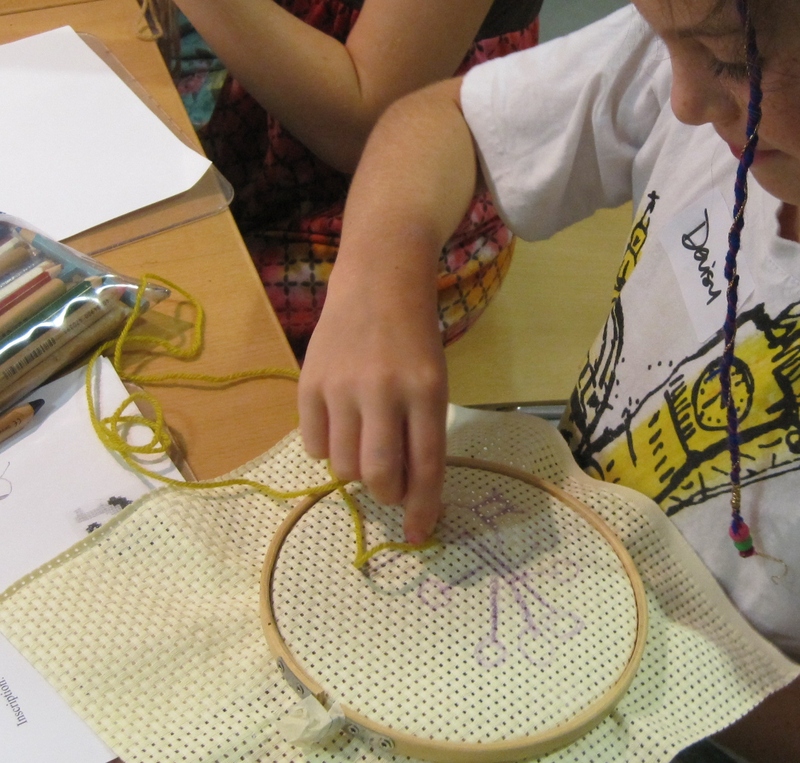 During this activity questions started to turn to the makers and the schools, enabling me to inform the girls about schooling at this time, the reasons for including needlework in the curriculum and to tell them particular stories about the makers. I asked them questions about their school life and needlework experiences, if any. I wanted to get across the similarities in age between them and the makers, as well as highlighting the fact that needlework skills were a means of survival back then rather than a leisure pursuit today. Several girls commented that they were glad to go to their school rather than a charity school or orphanage. Overall they seemed to really enjoy the workshop, particularly the practical aspect, and I enjoyed running it too!